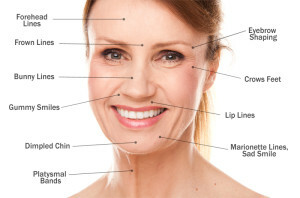 Locations for potential Botox use. Some of these injections are considered off-label FDA usage of Botox. I created Surgical Artistry with my wife, Dr. Tzuying Tammy Wu, Modesto Plastic Surgeon. I am a surgeon & violinist. I have enjoyed playing my violin at Carnegie Hall in New York twice thus far. Originally from New York City, I moved to Modesto, CA in the year 2003. Highlights of my educational life are getting accepted to all the universities which I applied: Harvard, Stanford, MIT, Yale, and much more. 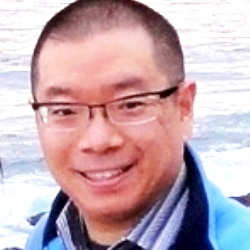 After careful decision, I felt Brown University was best for me and that was where I met my wife, Dr. Tammy Wu. She eventually graduated with a #1 designation from our class at Brown . Surgical Artistry is proud to be founders of the Surgical Artistry Modesto Marathon, Modesto Symphony Pops Series, and the Gallo Center for the Arts. I would like to think of all my patients as my friends. Friends should be honest to each other. My staff counted once, and I use up about 500 needles per day. 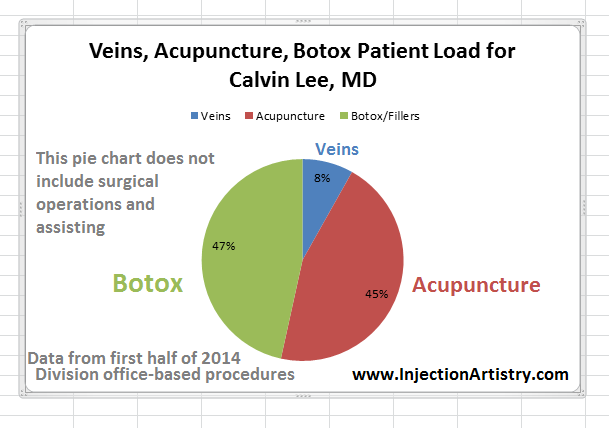 I use needles for acupuncture, vein injections, Botox, Juvederm, Belotero, and DermaPen. Doing surgery with needles is what I do at Surgical Artistry. So if you need medical procedures which involves needles, please consider me. For my music with the violin, I understand the creation of art which appeals to one’s positive emotions. This artistry is the same for the subtle changes that I need to make when injecting Botox and dermal fillers (Restylane, Radiesse, Perlane, Juvederm, Belotero, etc). 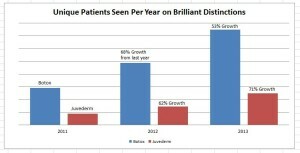 I think at least 50% of creating a great result is based on understanding the patient’s goals and vision, and then also communicating expectations and trade-offs. The final result is the result of teamwork with me, my office and my patient. This type of communicative teamwork requires time and patience to achieve the desired result. I am a surgeon and an instrumental musician – these are two things which improve my dexterity every day. Having precision is a high priority in my life. Why? Because my plastic surgeon wife will kill me otherwise. Well, kidding aside, I am dedicated to great results for all the modalities I offer at Surgical Artistry: Acupuncture, Botox, Dermal Fillers, and Veins. Great results and happy patients are what fuels my enthusiasm and purpose on this planet. Growth of my Botox and Juvederm practice over the last three years since we started with Brilliant Distinctions, a program for coupons developed by the Botox company – Allergan. “Dr. Lee is great! I’ve been going to him for years for various health issues, especially stress. It leaves me so relaxed with a lasting effect and is very healing. I am unable to go longer than a month without seeing Dr. Lee because it keeps me healthy like nothing else does. I would love to hear more review (hopefully positive feedback? – if you feel I deserve it).